who found TV fame in the 1950s with Muffin the Mule. boarding school when she was nine, and although she studied ballet there, she considered herself too clumsy, and much preferred being involved in the theatre productions. lead role, when he 'spotted' Hayley acting out TV commercials in the garden. Hayley recalls, "He (Thompson) just suddenly got the idea that maybe it didn't have to be a boy, maybe it could be me!" 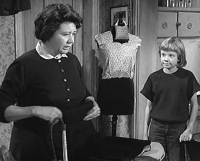 over to audition her for his new film based on Eleanor Porter's novel..
With this young sensation on his hands, Disney then cast Hayley in the two roles of the identical twins separated at birth, Susan Evers and Sharon McKendrick, in The Parent Trap (1961). was nominated for a Golden Globe Award. Carey in the comedy Summer Magic (1963); Nikky Ferris in the mystery The Moon-Spinners (1964) with Eli Wallach and Patti Randall in the comedy thriller That Darn Cat! (1965). 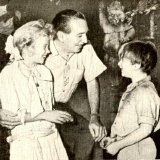 Disney's own Buena Vista record label. 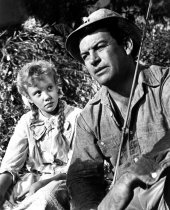 Mills made several other notable films. 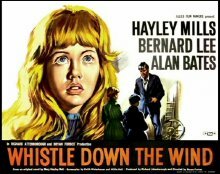 The Beaver Films production of Whistle Down the Wind (1961) in which she plays Kathy Bostock, is based on a book of the same title written by her mother, Mary Hayley Bell. 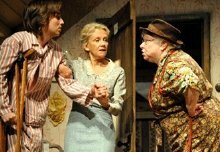 Kathy, her brother Charles and her sister Nan discover a wanted man (played by Alan Bates) hiding out in their father's barn. They are convinced that he is Jesus Christ and try to hide him from their father and aunt, before the police eventually catch up with him! 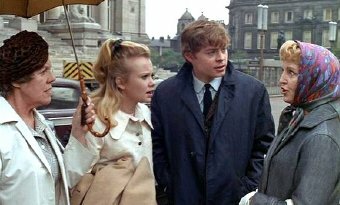 In Universal Pictures production of The Truth About Spring (1965) John Mills plays a sailor Tommy Tyler, with Hayley Mills cast as his daughter, Spring, as they go in search of buried treasure. Broadway play of the same name, which ran for 182 performances. The film, which was shot mostly in Brighton, had a cast that included Deborah Kerr, Edith Evans and Hayley's father John Mills. 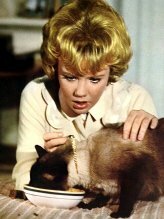 Hayley Mills' contract with Walt Disney expired in 1965, after which she teamed up with Rosalind Russell for the comedy The Trouble with Angels (1966) in which two high-spirited teenage girls wreak havoc in a convent school. father John Mills. Sadly, this film remains largely forgotten. Rhodes, Liz Fraser, Avril Angers, John Comer and Wilfred Pickles. The film's original music was written by Beatle Paul McCartney. 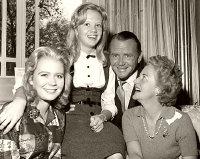 The Family Way was also an important turning point in Hayley's life, as she married the film's director Ray Boulting (33 years older than her) in 1971. They separated in 1975 and divorced in 1977. They had one child, Crispian Mills (b.1973), who became famous in the 1990s as the lead singer and guitarist for the rock group Kula Shaker. Sidney Hayers - What Changed Charley Farthing? 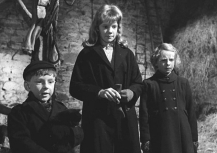 and Deadly Strangers - Hayley Mills turned her back on the big screen to concentrate on stage work. Guildford (1977); The Importance of Being Earnest in Chichester (1979); Dial M for Murder at the West End's Vaudeville Theatre (1983-84) and Dead Guilty at the Apollo Theatre (1995-96). Anna in the year-long US touring production of The King and I. She made her off-Broadway debut in 2000 in Noel Coward's two one-act plays Suite in Two Keys. The reviews however were not good and the show was quickly cancelled. In 2001, Hayley played the lead in sold-out performances of Sister Mozart at the Museum Theatre in Hartford, Connecticut. Her character, Nannerl, was the older sister of the composer. teenagers! I saw this gentle, funny and poignant play when it came to Nottingham's Theatre Royal in June 2012. 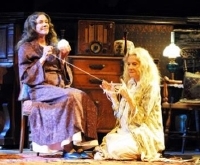 Ladies in Lavender was Hayley's first stage play since 2003, when she appeared in the National Theatre production of Humble Boy on its UK tour. wildlife drama series Wild at Heart (2007-12). She has also appeared in three made-for-TV Parent Trap sequels - The Parent Trap II (1986), The Parent Trap III (1989) and Parent Trap: Hawaiian Honeymoon (1989). 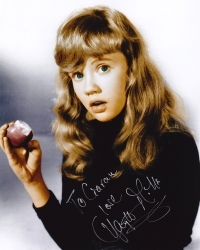 Hayley Mills was a child filmstar for Walt Disney, many years before I was born. She is now a superb stage actress, and I was able to see her at her best in the play Ladies in Lavender which came to the Theatre Royal in Nottingham in June 2012. I met her afterwards, and she was quite delightful! 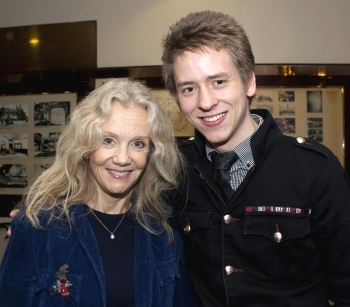 She signed my programme and two 10x8 photographs, and then dad took this photo of us together. They live in New York. For many years, Hayley has been a vegetarian. She enjoys scuba diving, and has been a lifelong admirer of Elvis Presley!